Capt. Mike Rowell has a lifetime of experience fishing the Gulf of Mexico & 20 years as a US Coast Guard licensed captain. 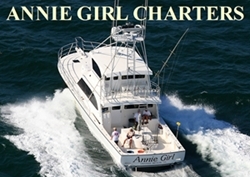 The Annie Girl is one of the most modern & luxurious fishing boats on the Alabama Gulf Coast.